From all the HeartGold and SoulSilver rage, I decided to get back into Pokémon…old school style! 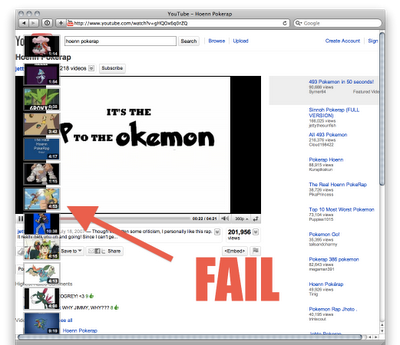 That is, I'm going to memorize all 151 (152, actually, if you count MissingNo.) Gen 1 Pokémon :D So far my record is 148, which is good, but I surely am shooting for 151! 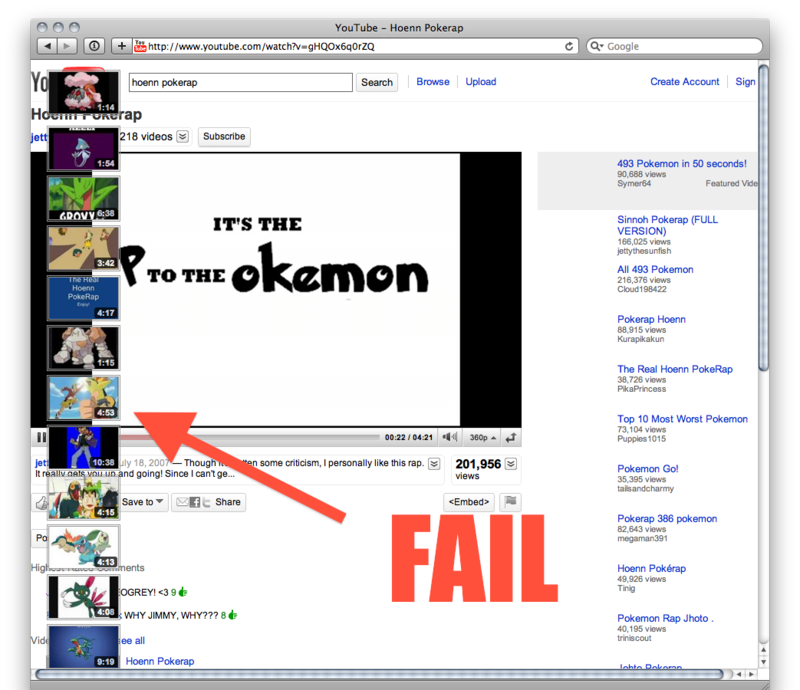 Anyway, I randomly decided to listen to the Hoenn (gen 3) Pokérap on Youtube and saw this nice fail. P.S. CPW post will be up soon!